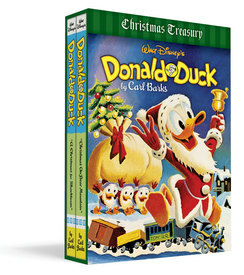 And is there a better way to confer the Christmas spirit than with a specially priced box set containing both this year's Christmas special Barks Library volume, Donald Duck: Christmas on Bear Mountain and last year's Donald Duck: Christmas for Shacktown? No! So here it is, look no further.